Welcome to the Best in the World. We asked our Mouse for Less Facebook Group members for their opinion on the “Best Food” at Walt Disney World and they gave it to us. Now we want to share the results with everyone. 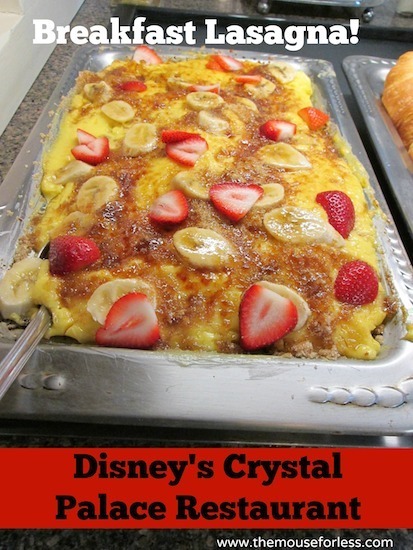 We hope you find our pages helpful in deciding on desserts and snacks, lunches and dinners, character breakfasts and even drinks on your Walt Disney World vacation. 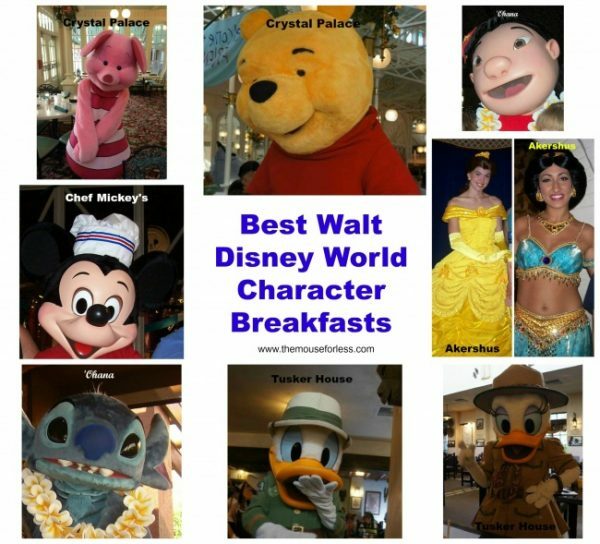 Here are the top winners for Walt Disney World Best Character Breakfasts. While you are dining indoors at Tusker House, you feel like you are dining outside (minus the heat) at a Harambe marketplace from the smells to the authentic decor. In addition you will be visited by Donald and friends in their safari gear! Your breakfast is served buffet style on food carts keeping with the theme. Be sure to visit all the food carts to see the array of foods for your taste buds! Offerings may include pastries and bread pudding, fruit, bone in ham, frittatas, as well as boboti, sweet plantains and much more! 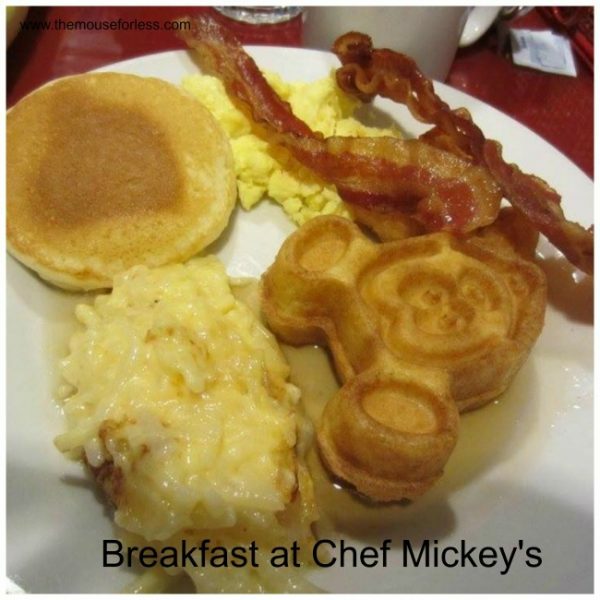 For the less adventurous there are the standard eggs, Mickey Waffles, sausage, bacon and other American breakfast standbys. The grand Victorian style dome, which gives the appearances of white cast-iron work, brings in the sunlight to the garden that welcomes guests just inside the entrance of the restaurant. It is tucked away to the left of main street behind Casey’s on your way to Adventureland. The decor inside is light and airy and lends itself to a great way to fuel up for your day while visiting with your friends from the Hundred Acre Wood. The food is served buffet style and the characters will come to each table, so have your autograph books and cameras ready. The buffet includes several egg dishes, including scrambled and omelets, breakfast meats, pancakes and waffles, breakfast potatoes and more. Give yourself a little extra time to get to Norway in the morning for your breakfast at Akershus, the princess will appreciate your promptness and Norway is a bit of a long way from Florida! (or in this case a long walk into Epcot before you arrive). Your experience will start with a meet and greet with one of the Princess and a photo pass photographer, then you will be seated and more princesses will visit your party at your table. Your dining will include a traditional Norwegian smorgasboard in a buffet option including cold meats and cheeses to spark your appetite, then it is followed up by family style dishes served at your table including sausage, bacon, scrambled eggs and a delicious potato casserole. If the trolls are looking down on you with favor, there may even be a parade for your young royalty to enjoy around the restaurant. This high energy and wildly popular dining experience can be a great way to start your day. This is one meal you should try to book at 180 days if you are able. It is located at the Contemporary Resort by the Magic Kingdom, so pairs well with a day at Magic Kingdom, and of course a monorail ride! 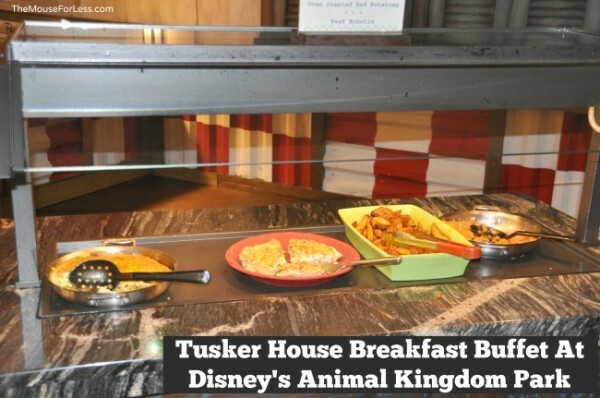 The breakfast buffet could be described by some as the best breakfast buffet on property with more choices than you could possibly consume in one meal. Add into this that Mickey and friends will be visiting your table, and also get diners involved in their celebration. Your buffet may include fruit, smoked fish, waffles, pancakes, cheesy potatoes, eggs in many forms, breakfast meats, oatmeal and more. Aloha Kakahiaka, E Komo Mai – Good morning, Welcome! 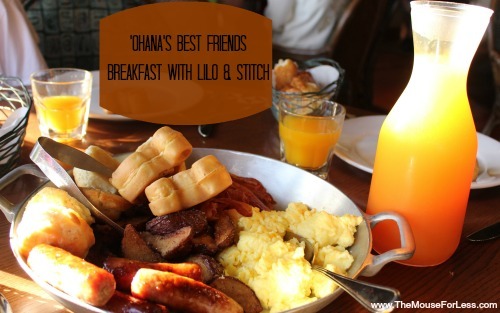 Plan a visit to the Polynesian paradise for breakfast at ‘Ohana! Eggs, sausage, bacon, potatoes, waffles and fruit all served all you can eat at your table. Also served directly at your table is some fun and games from Stitch, but don’t worry, Lilo is along to keep an eye on his mischeivious behavior. This beautiful resort can also pair well with a day at the Magic Kingdom as you have the option to take the monorail over or a ferry boat, either way it’s a great way to start off your magical day!